Posted September 26, 2018 by Larry Lane - VR Business Brokers & filed under Sellers. The lower middle market is getting more sophisticated when it comes to mergers and acquisitions, but both investors and owners are still making many of the classic mistakes around assessing and building value. We asked two valuation experts, Scott Hakala of ValueScope and Ken Sanginario of Corporate Value Metrics, what they’re seeing in the market today and their advice for both buyers in the current economic climate. The same thing happens when a business takes on revenue that is hard to fulfill or retain. That revenue usually comes with tangible and intangible costs. When it disappears, the company is left in a deeper hole than before. 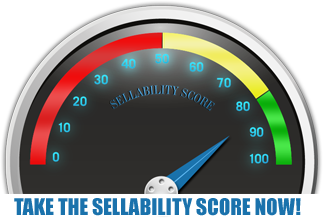 If a seller is taking delayed consideration for their business, in the form of an earnout or a rollover of equity, these short-term measures can cause that future value to evaporate. “I was doing turnarounds for 15 years, and many of those situations came from companies chasing revenue or chasing EBITDA,” Ken said. Is now the time to consider selling your business?